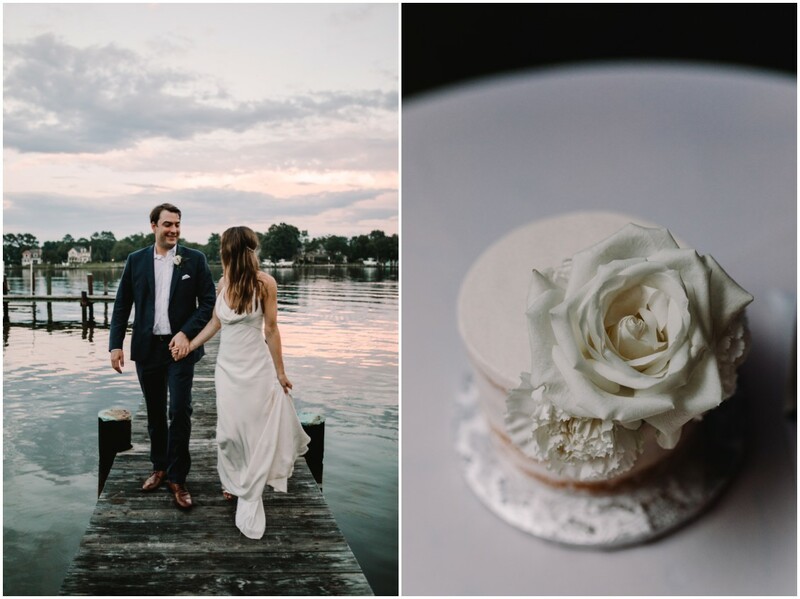 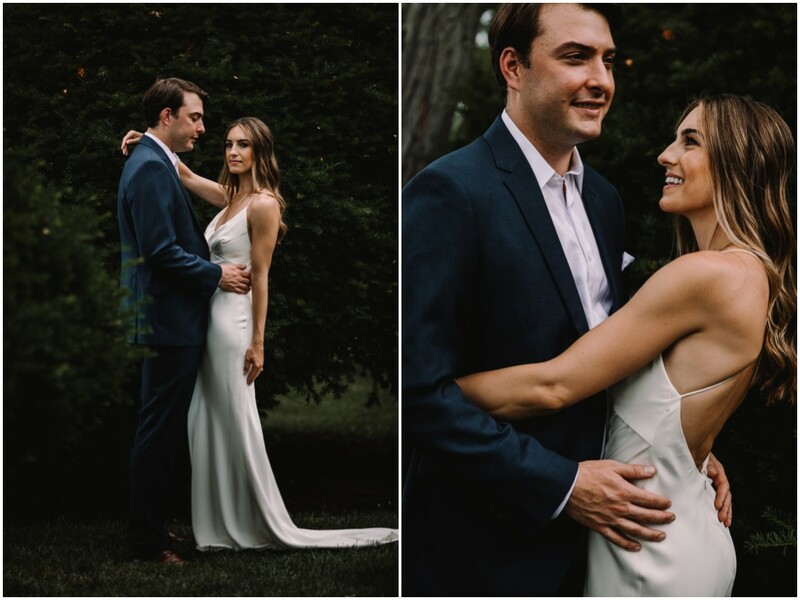 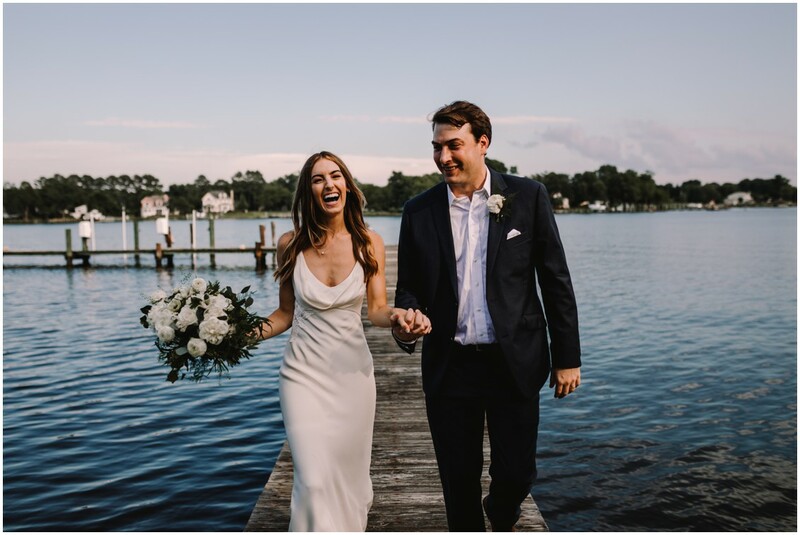 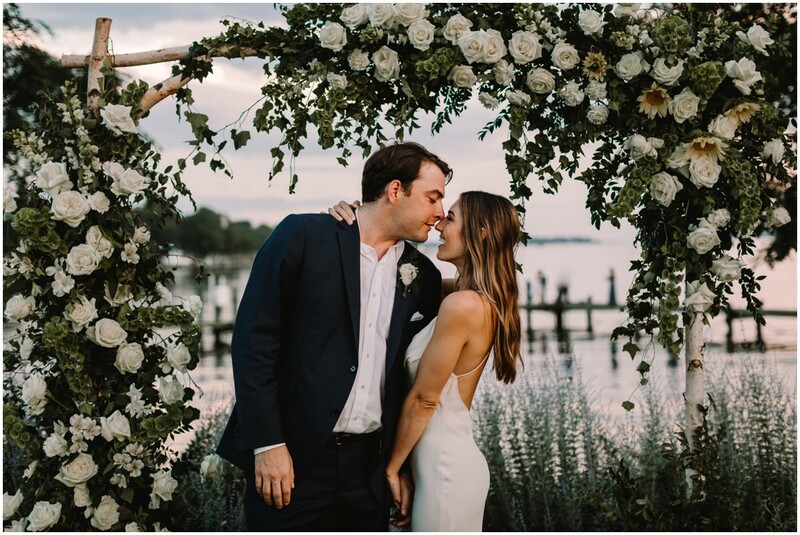 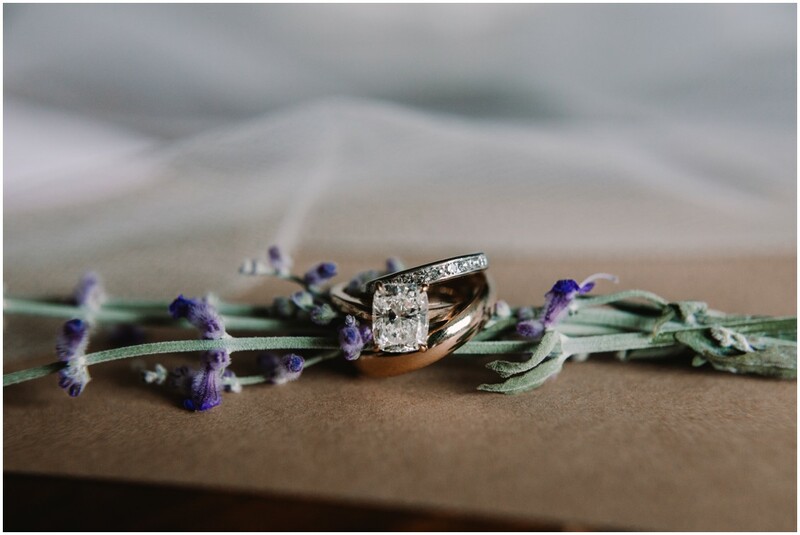 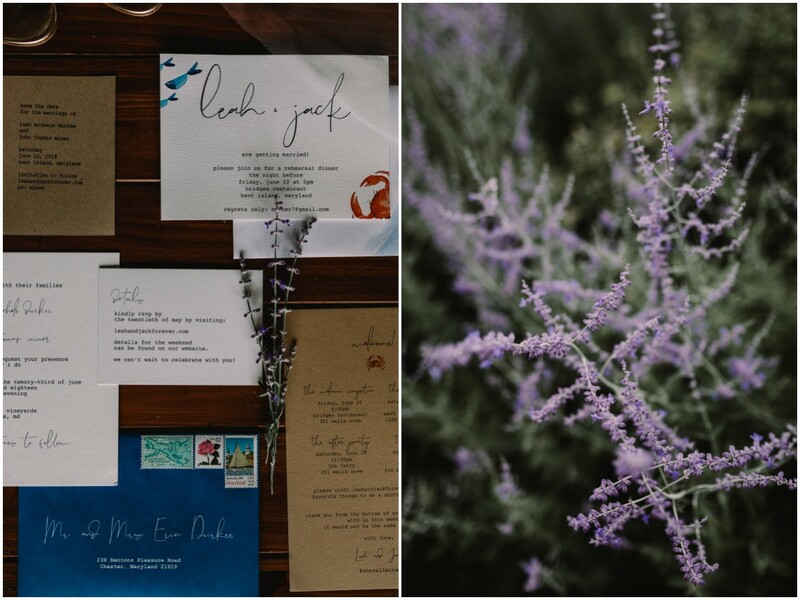 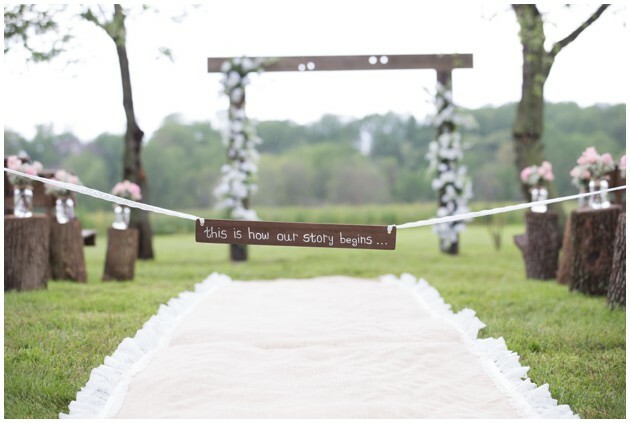 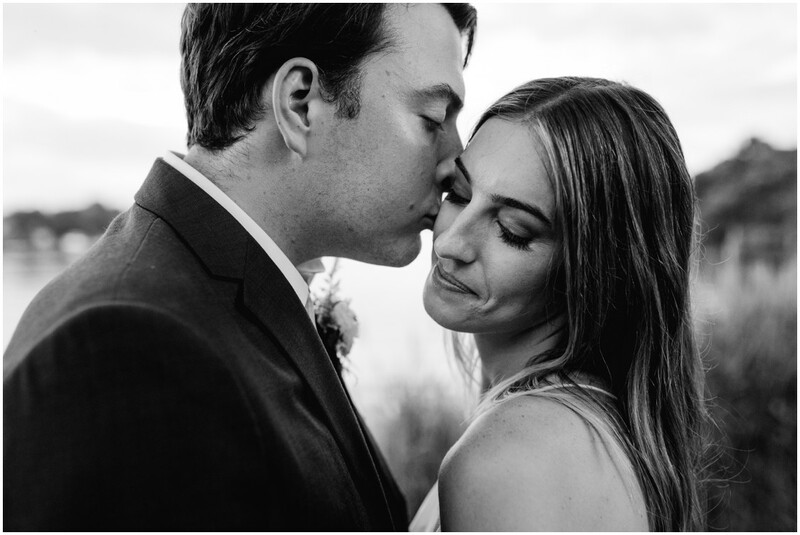 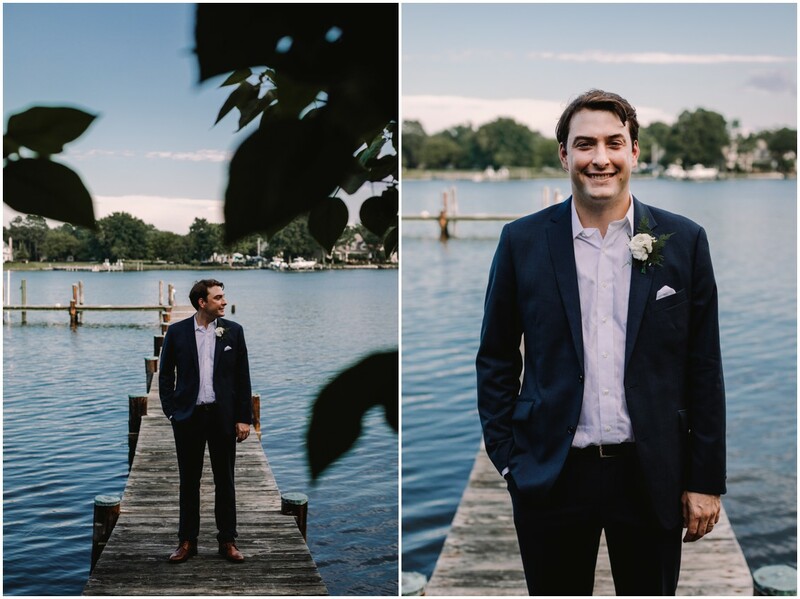 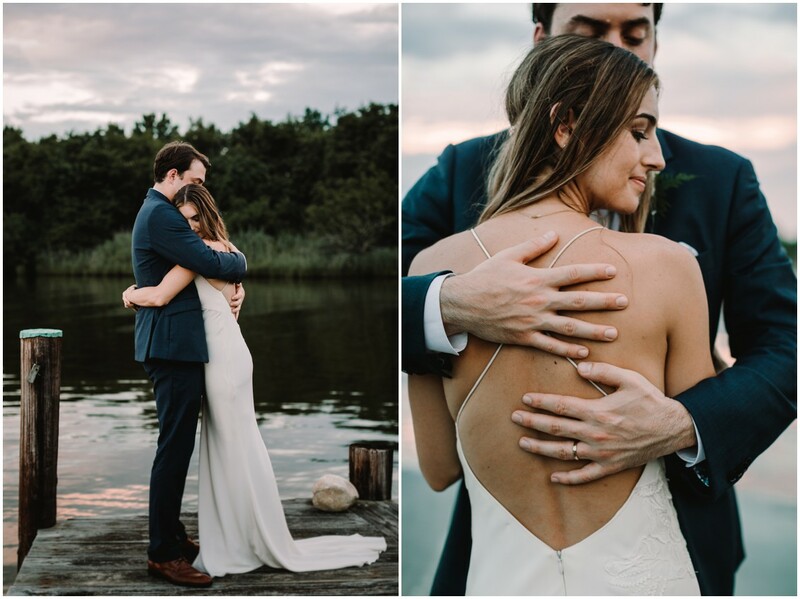 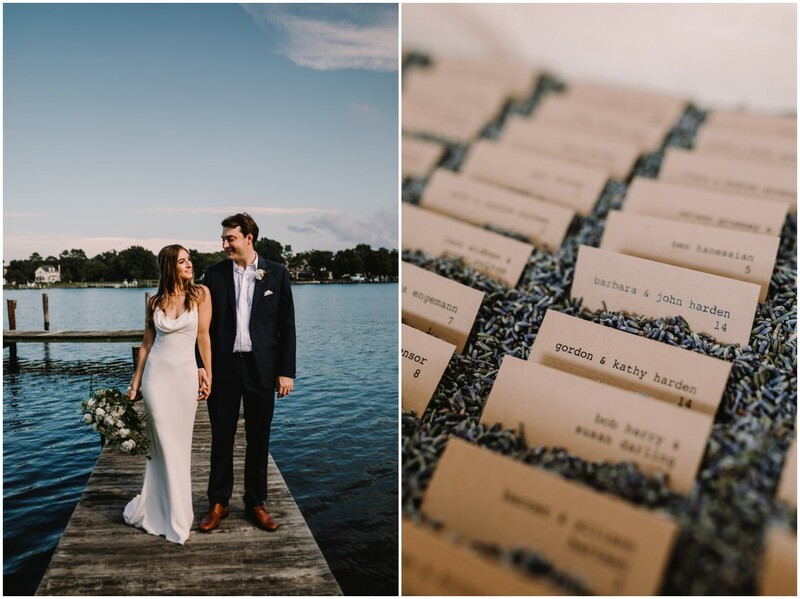 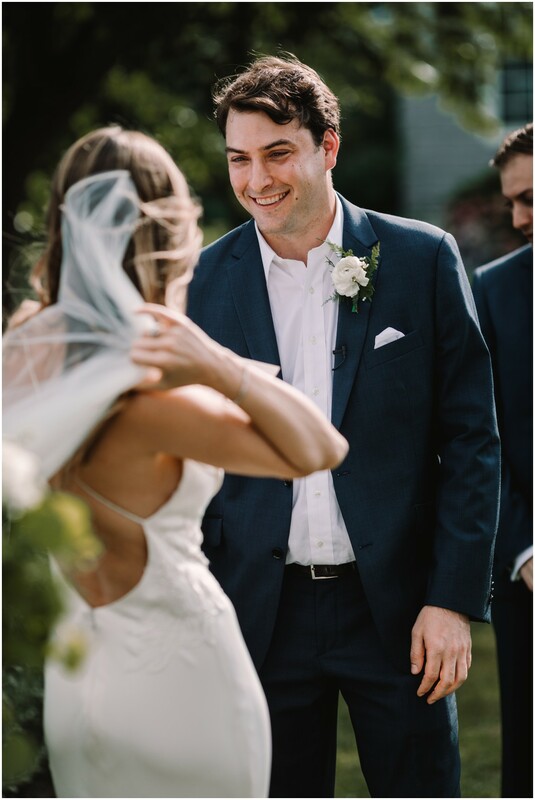 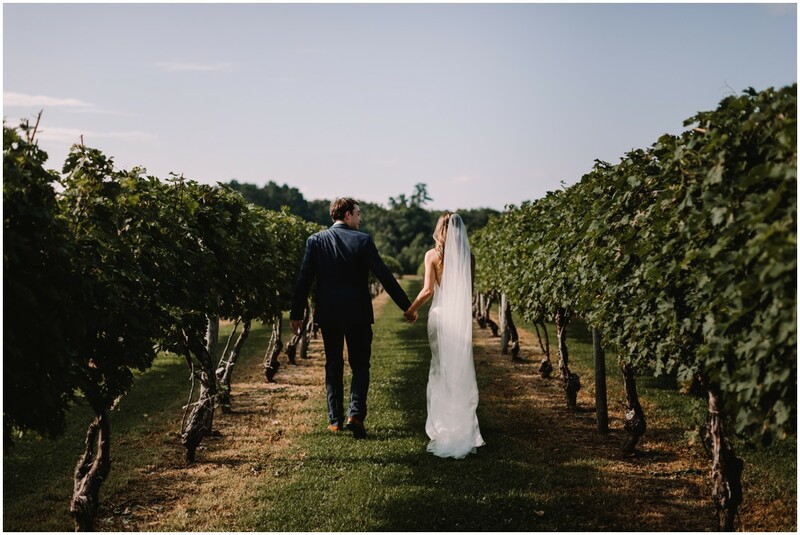 So many delicate details surrounded Leah and Jack as they tied the knot at their vineyard wedding! 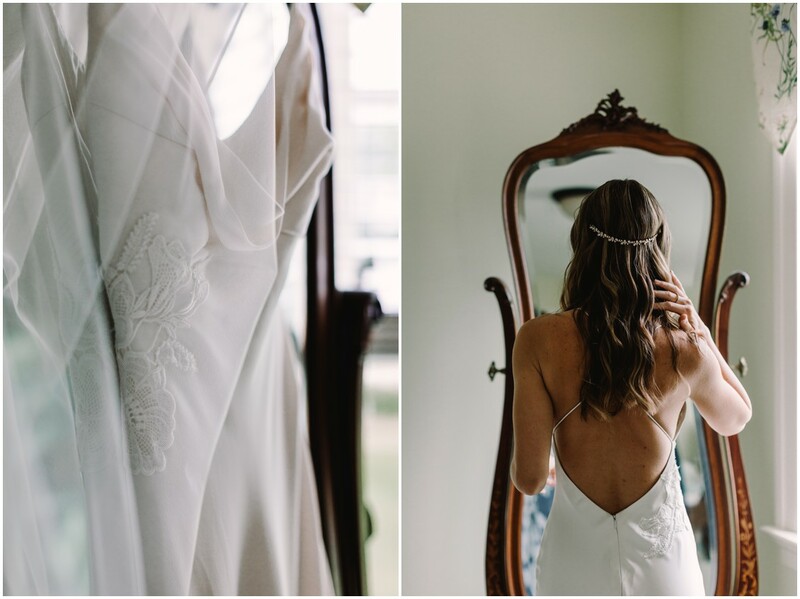 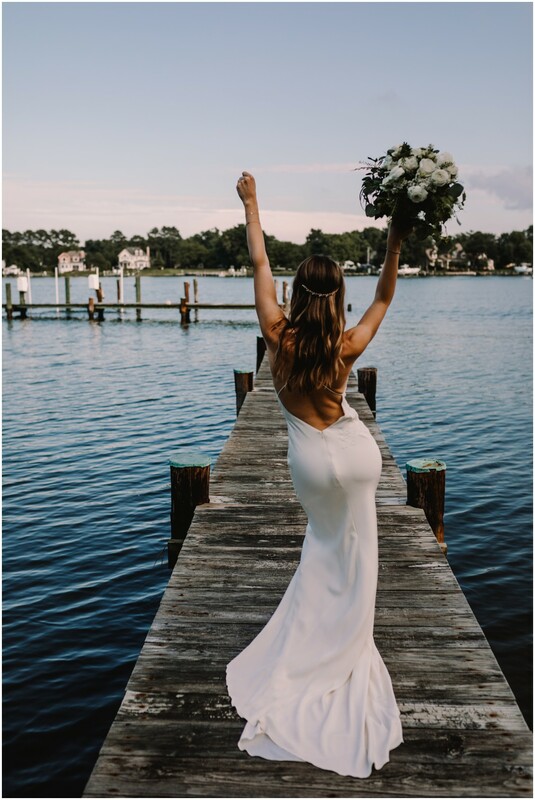 We love her look–a minimalist slip style with just a touch of floral appliqué makes the perfect simple + statement combo. 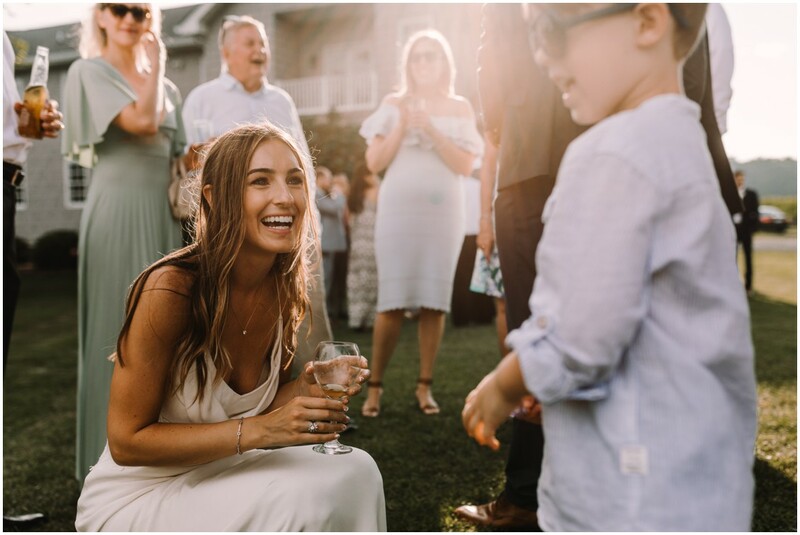 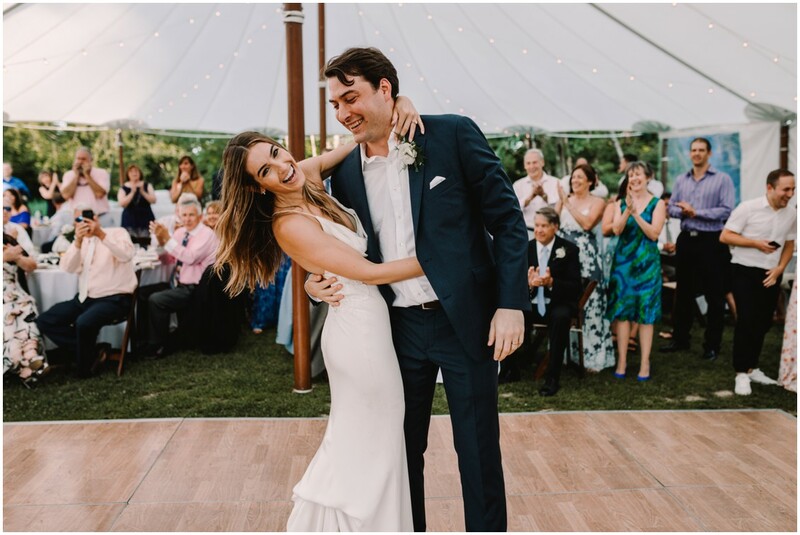 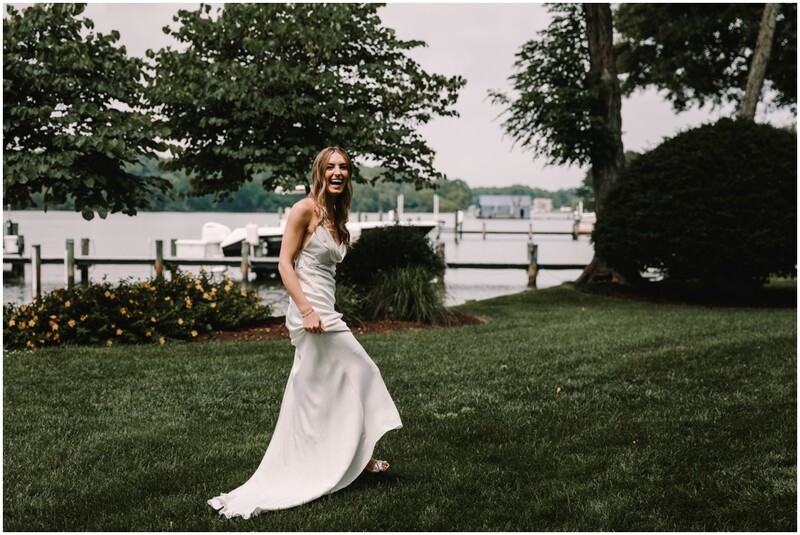 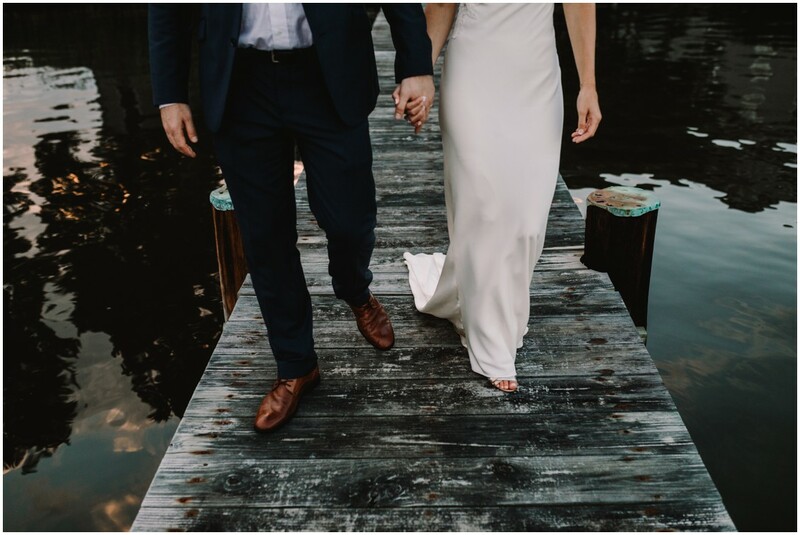 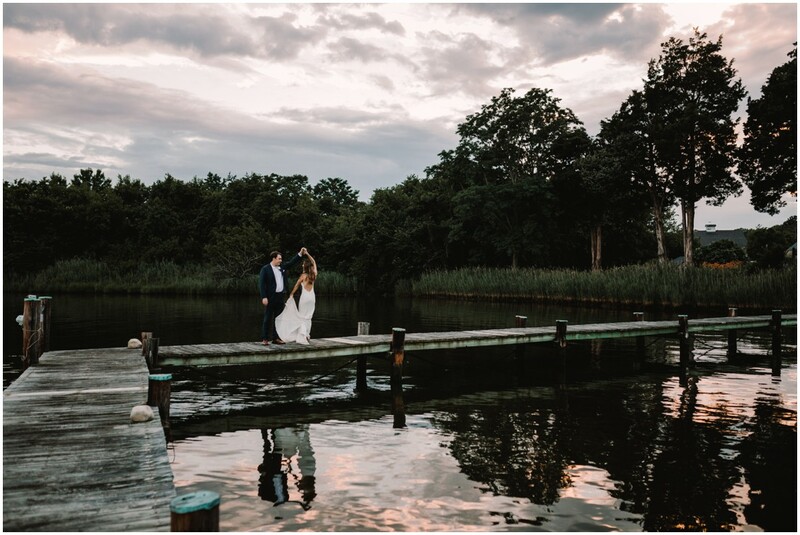 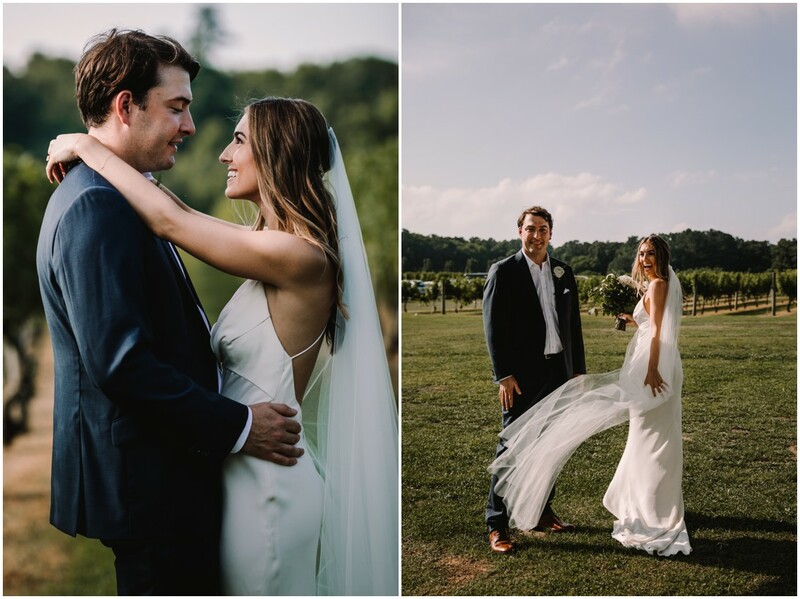 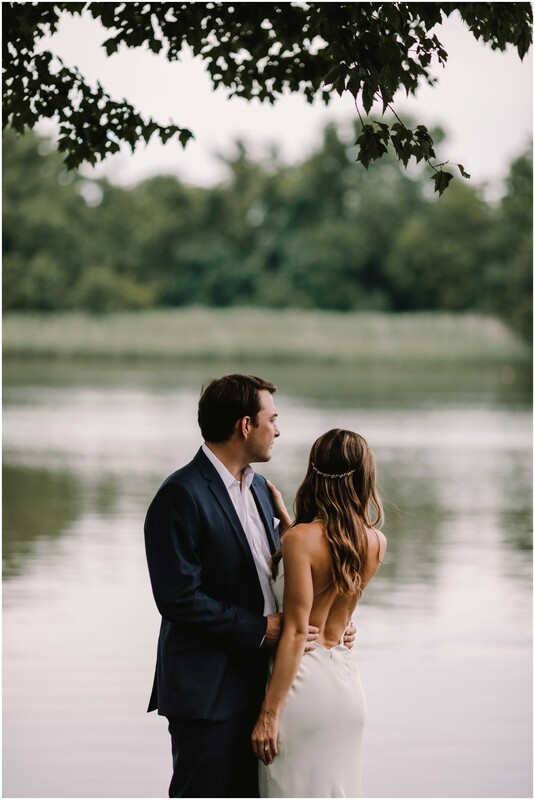 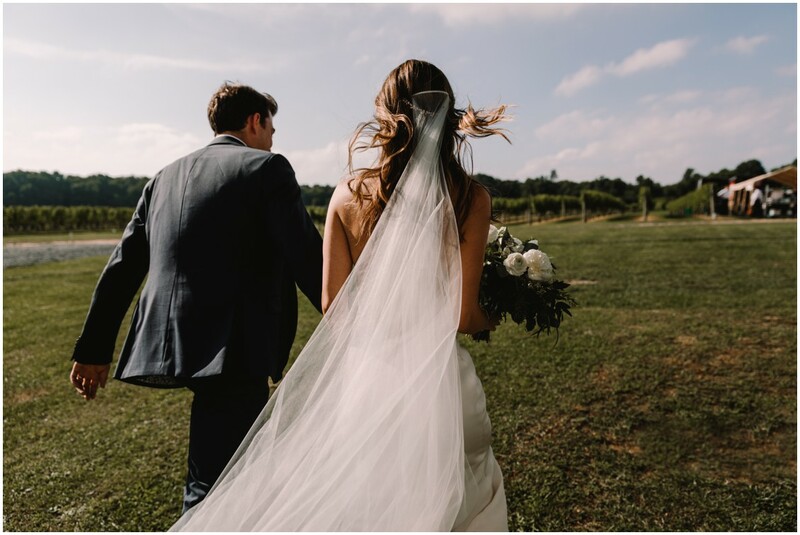 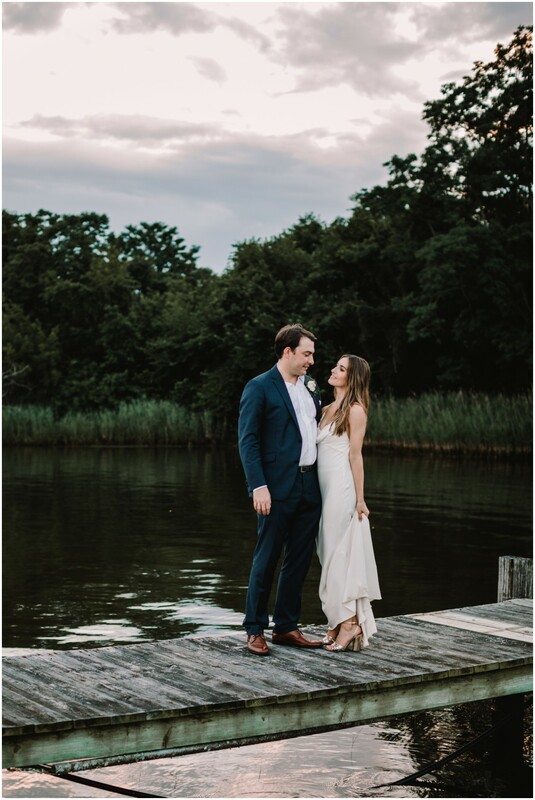 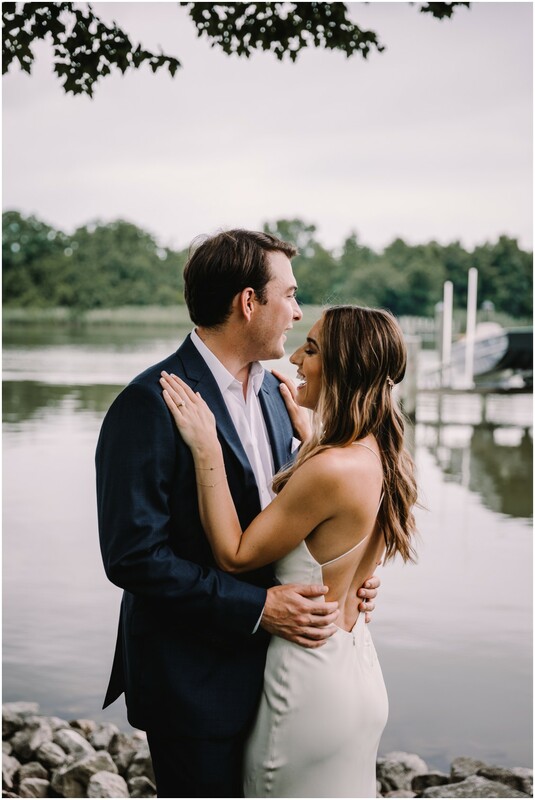 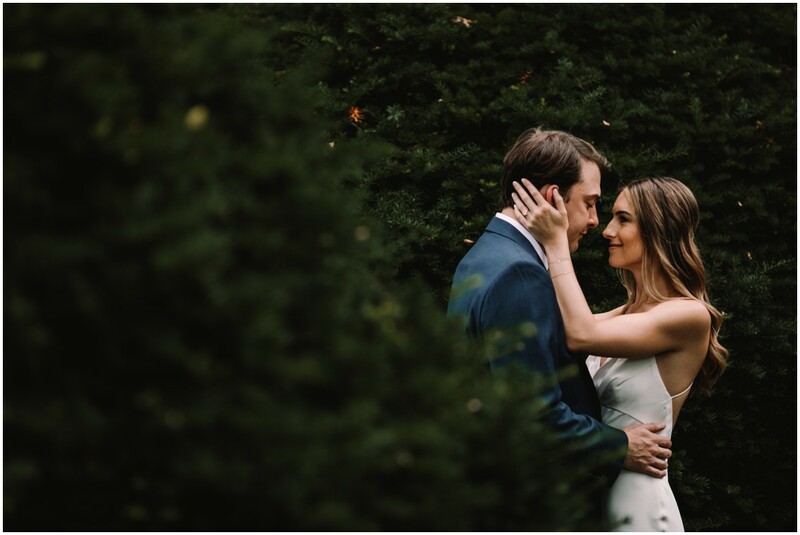 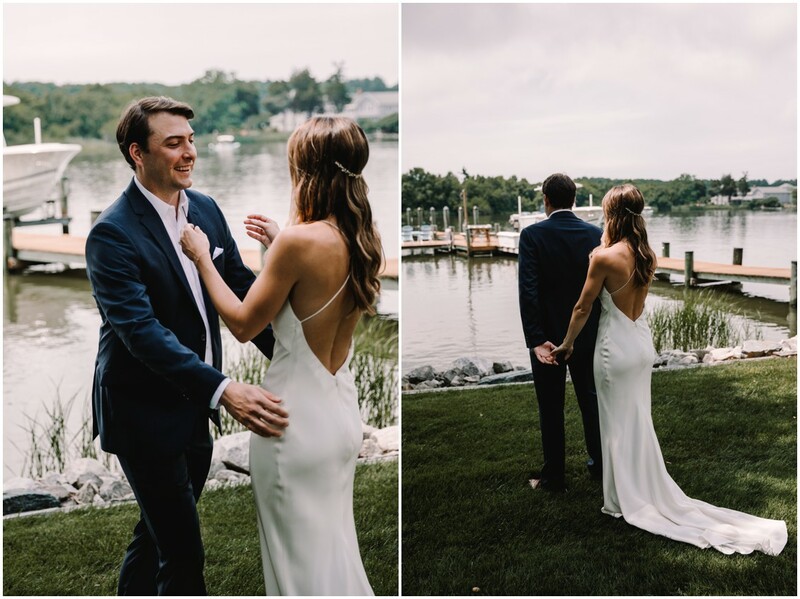 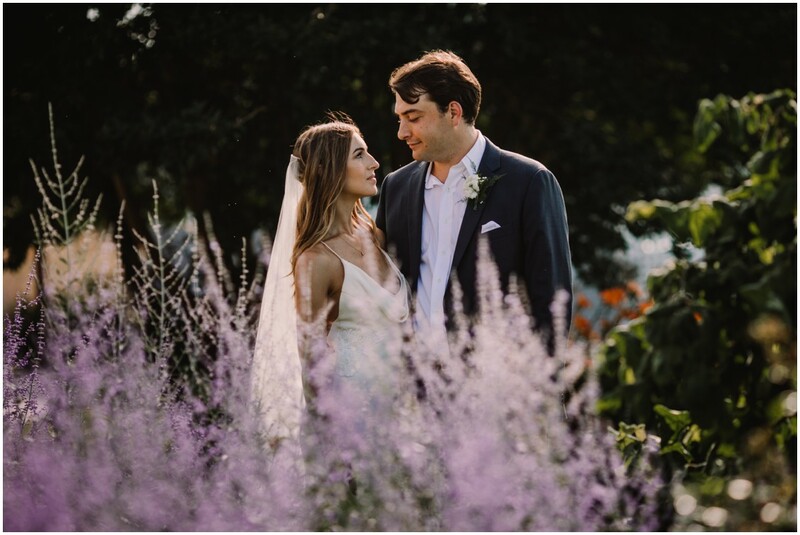 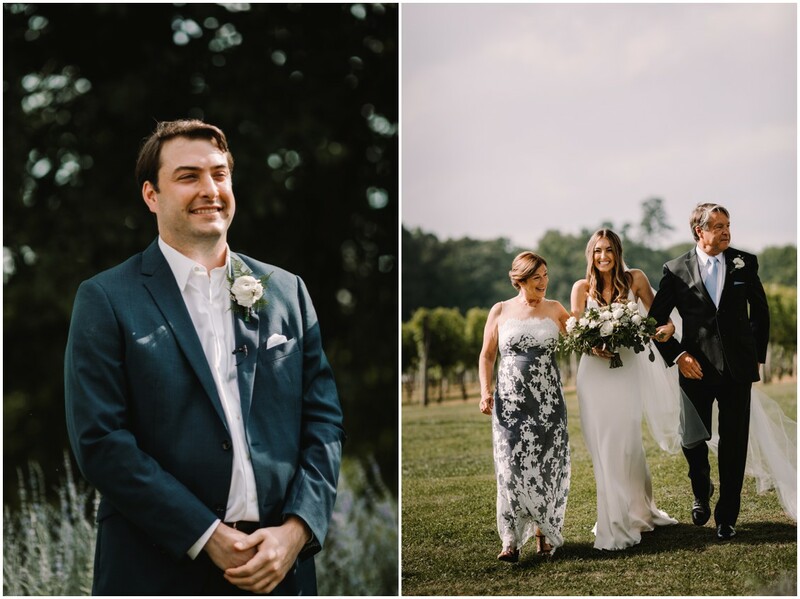 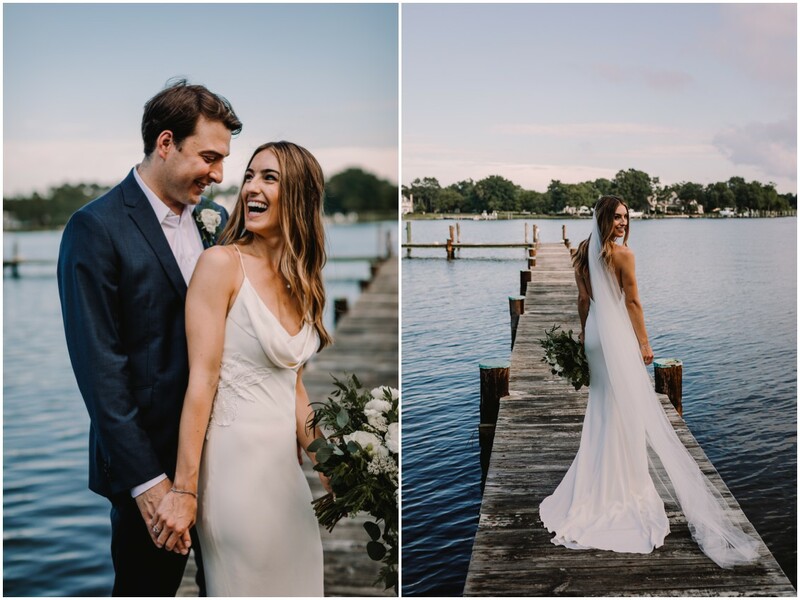 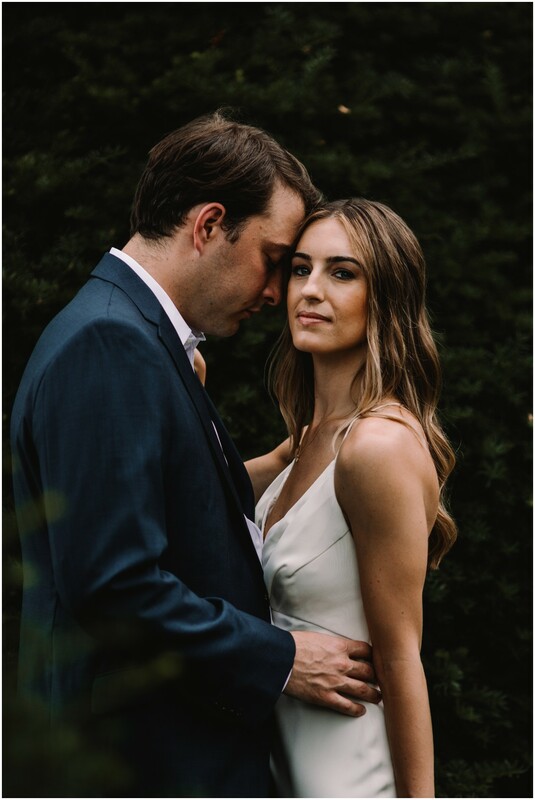 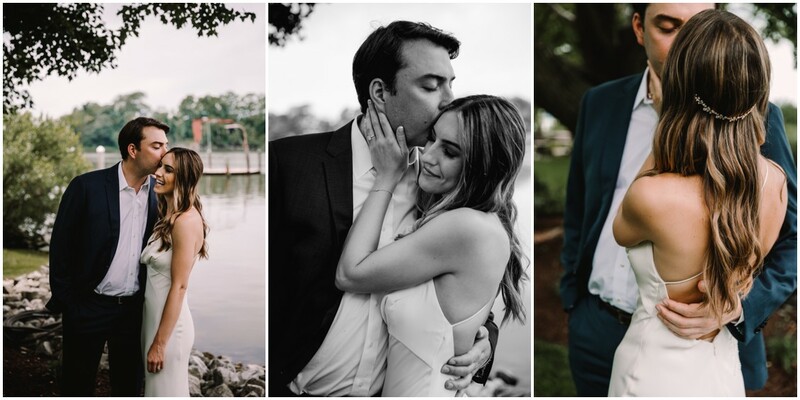 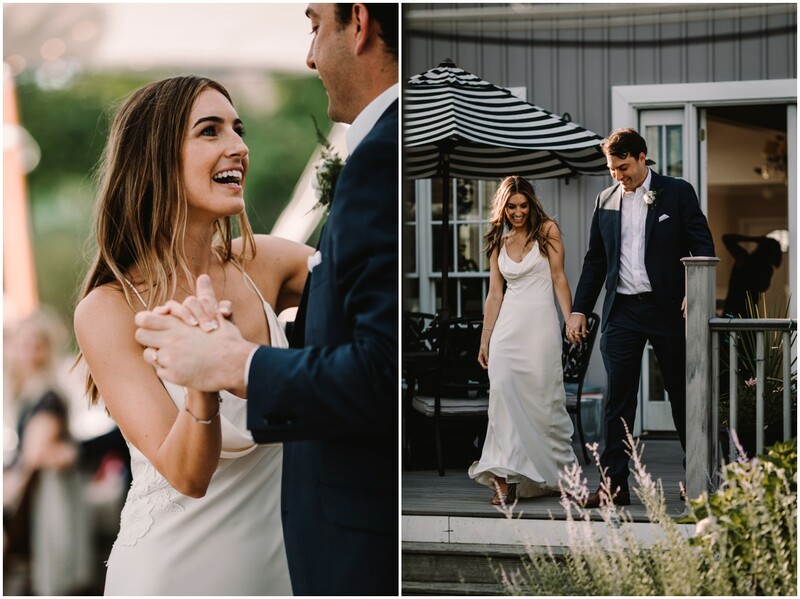 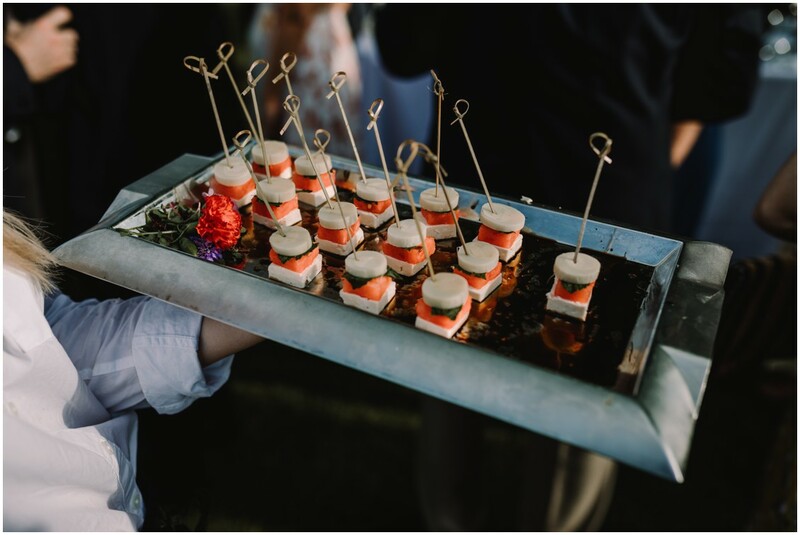 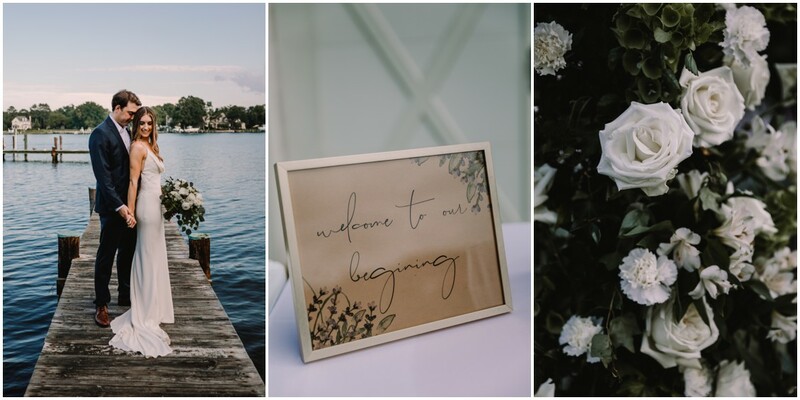 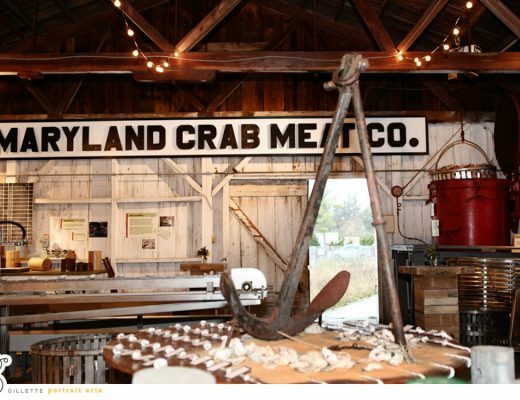 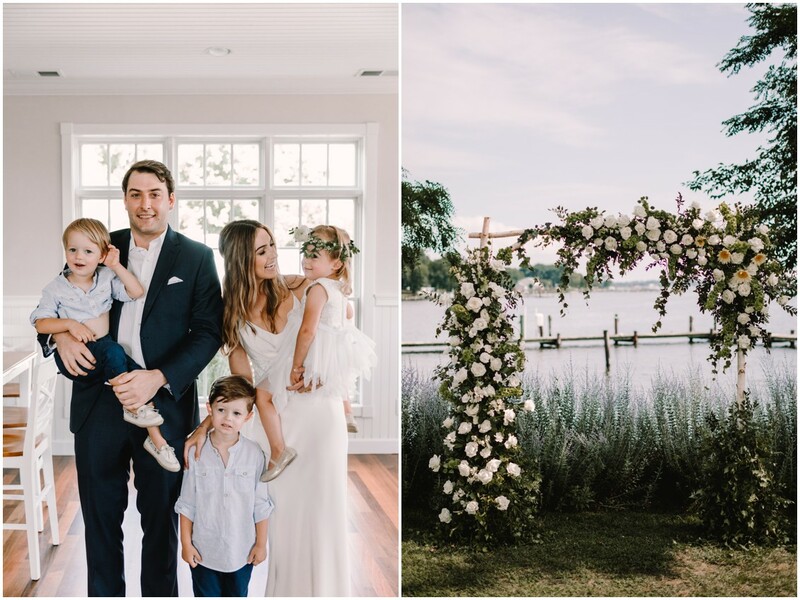 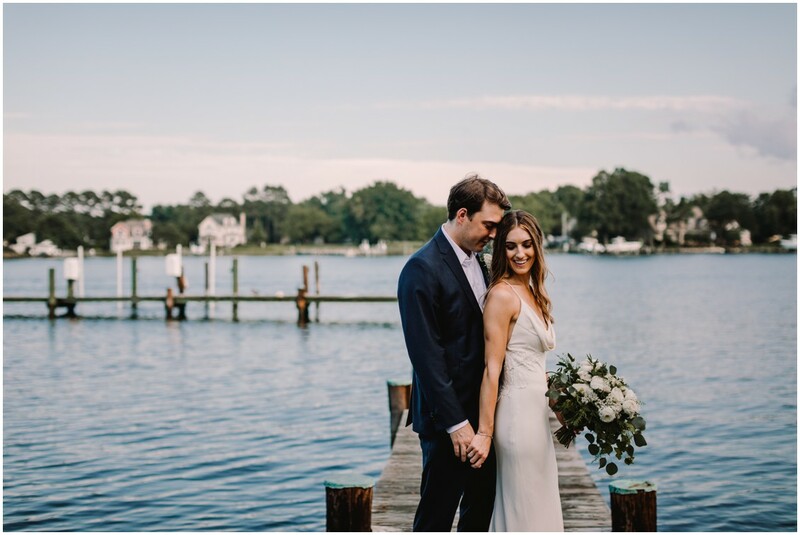 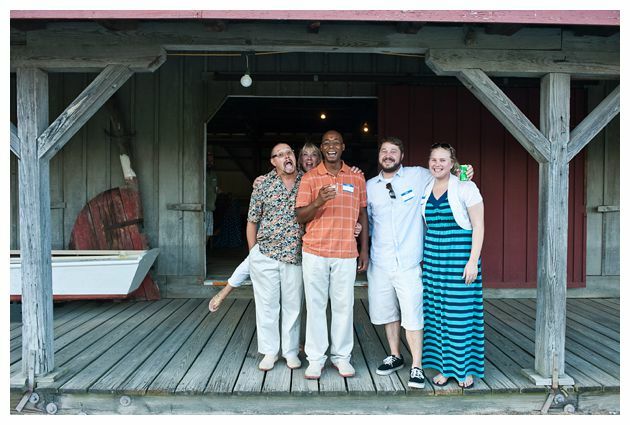 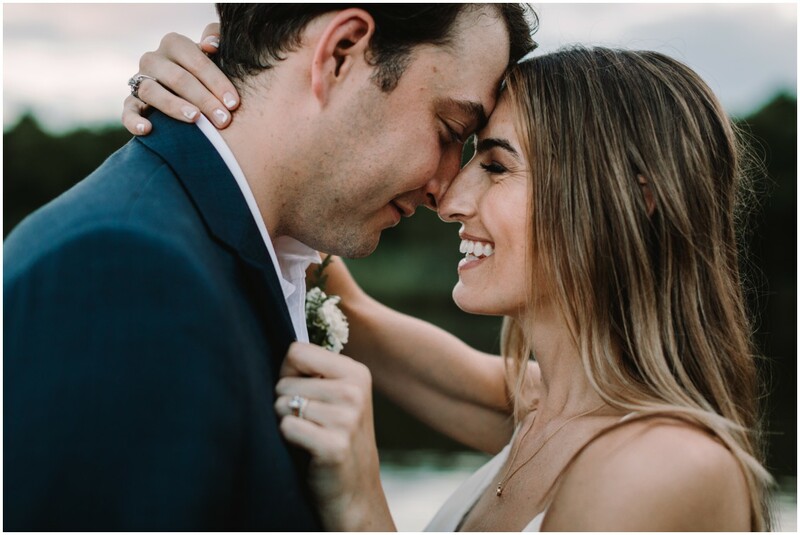 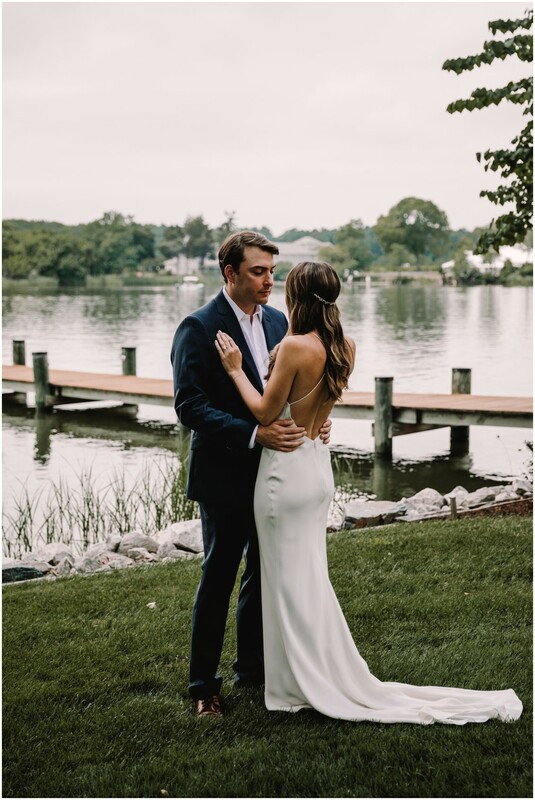 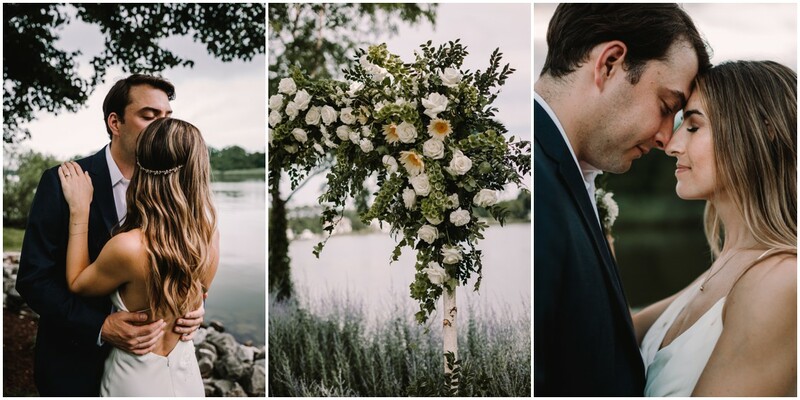 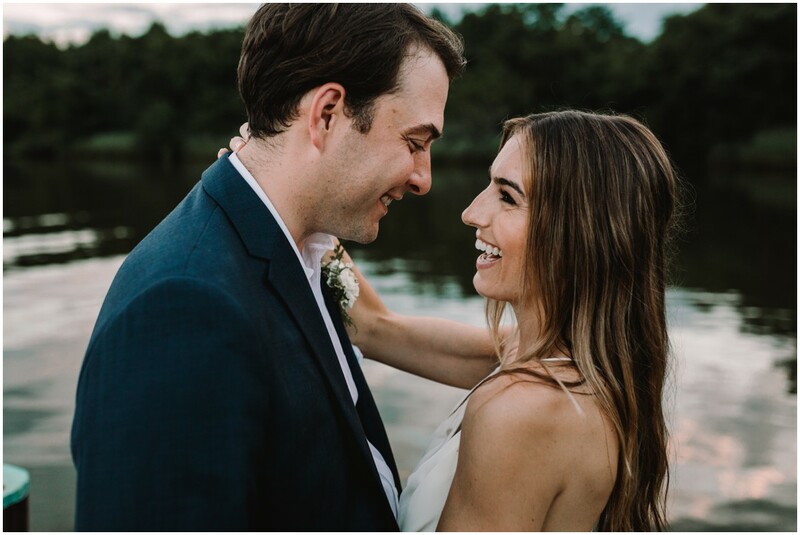 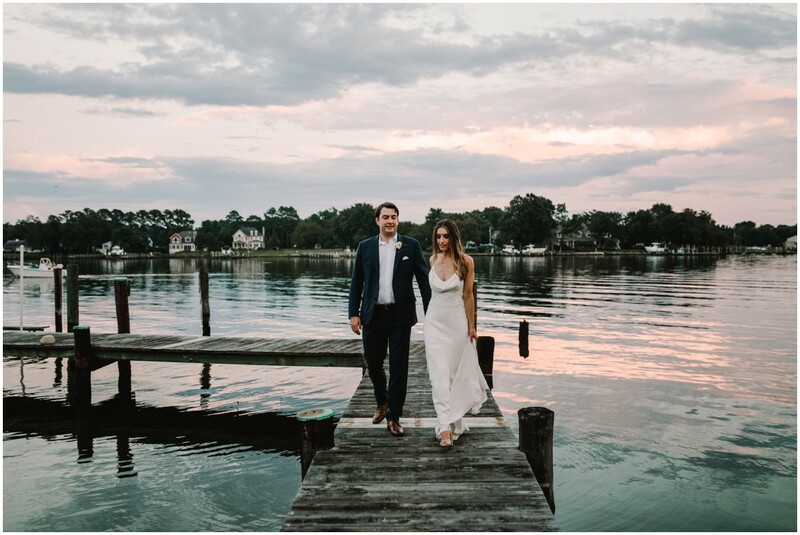 These two opted to keep their palette simple with creams, whites and greenery, which helped to showcase the breathtaking creekside grounds of Mark Cascia Vineyard. 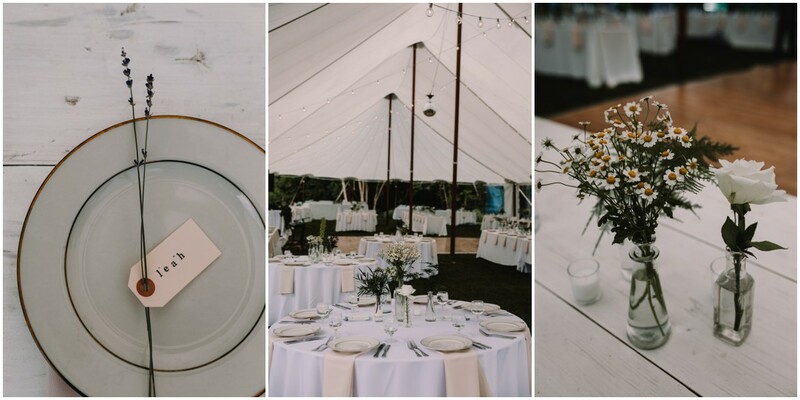 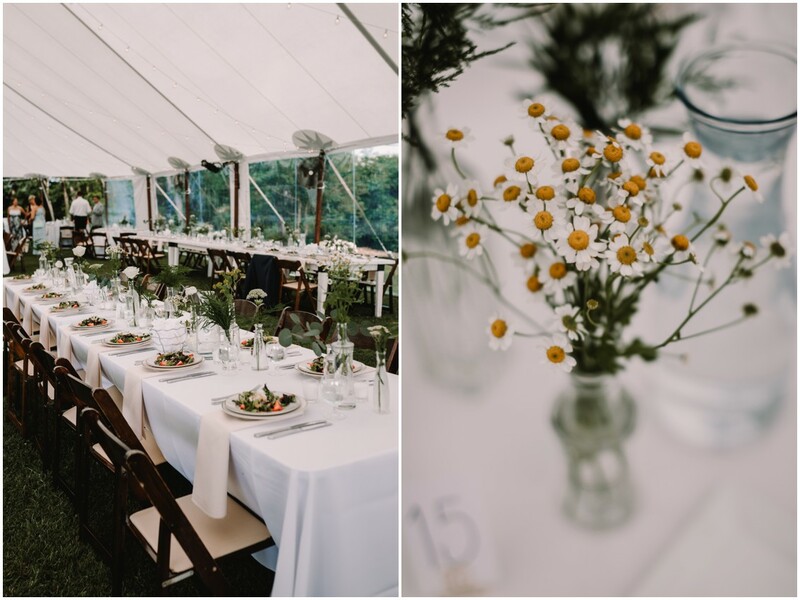 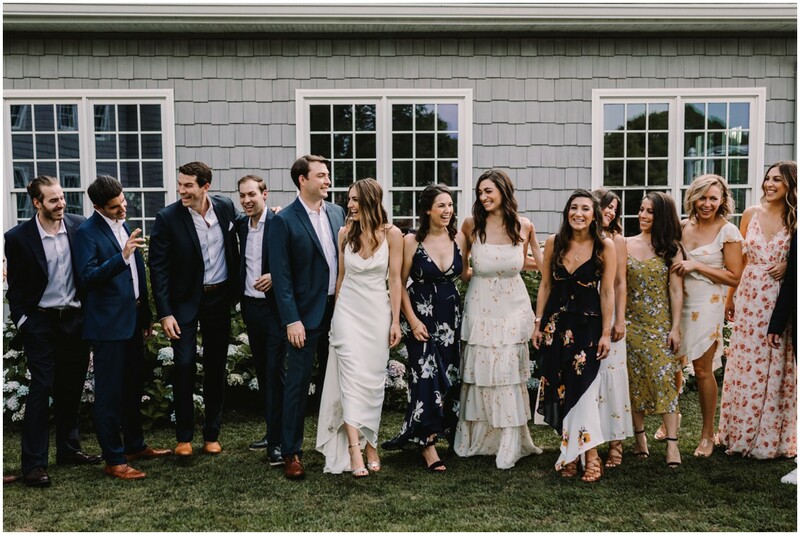 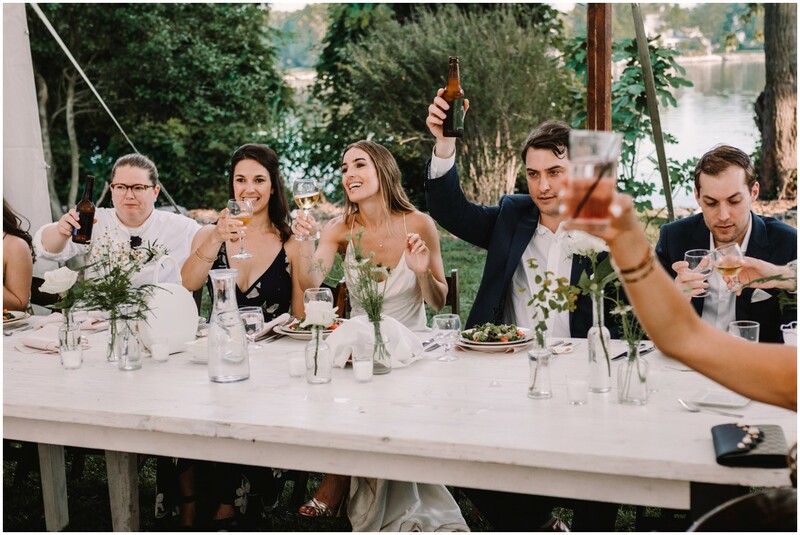 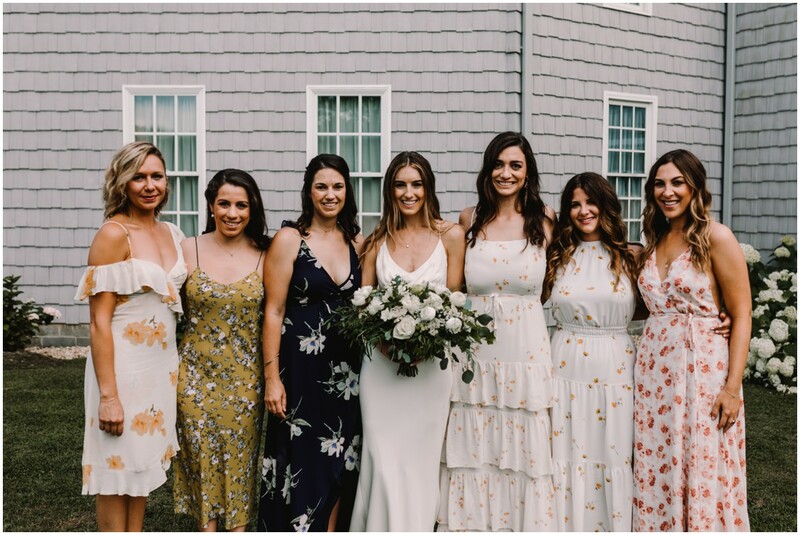 Mix & match bridesmaid dresses, a big beautiful sailcloth tent, and a long farm-style head table kept this wedding looking polished, yet still so personal!